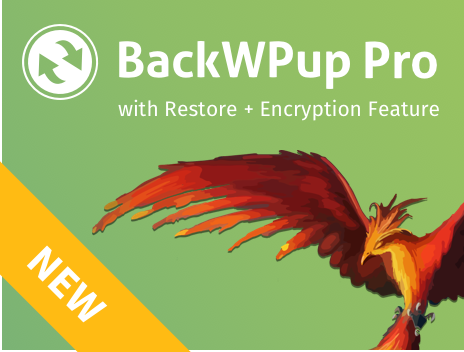 Home»Blog»BackWPup Campaigns»BackWPup Easter Sale – Discount on BackWPup PRO! BackWPup Easter Sale – Discount on BackWPup PRO! Get your website out of winter sleep and check you backup plugin! Because backups are your insurance in case of data loss. In need of a new backup plugin? Or maybe you already know the free version of BackWPup and want to test the additional features of BackWPup PRO? Then, we have an easter surprise for you: BackWPup Easter Sale at Inpsyde! From April 12th to April 19th, we have 20% discount on our BackWPup PRO version! In order to get our discount, simply put the product into the shopping cart, then, go to checkout and enter the discount code “Easter2017″ – you are done! It’s time to become a professional in the matter of website backups! Take the chance and get your BackWPup PRO version now! Know what? We have another Easter Sale offer for you, get our premium support for our multilingualism plugin MultilingualPress much cheaper now!